The Millis Soccer Club (MSC) was founded in 1982 as a non-profit organization to provide young soccer players in Millis an opportunity to develop skills in preparation for playing the sport at the high school level. Our teams vary in age from U9 (at least eight years old) to U16 (under sixteen years old). 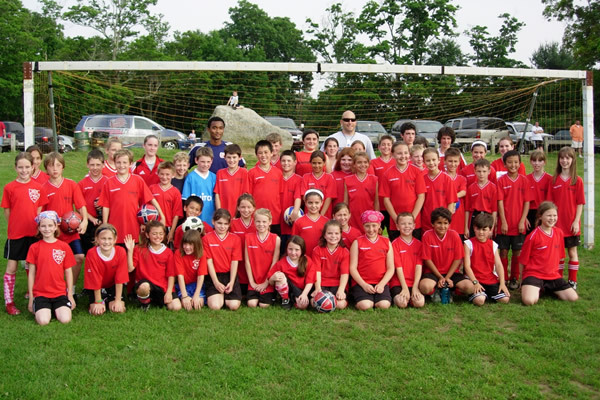 The club belongs to the Boston Area Youth Soccer Association league, as known as BAYS. This league is part of the Massachusetts Youth Soccer Association (MYSA) which governs the soccer clubs within the Commonwealth. The mission of the club is to provide players a higher level of competitive play within the framework of the BAYS league. While BAYSencourages competition; it seeks balance to insure equity amongst the teams. To do this, BAYS maintains multiple divisions of play based on the performance of the teams. The Millis Soccer Club places teams where we feel they will be competitive and challenged to succeed. The Millis Soccer Club is a travel club. We may travel to opponent's fields as far as Bedford, Belmont and Milton, or play as close to home as Medway, Medfield, and Holliston. The Millis Soccer Club plays its home games at Oak Grove Farm unless otherwise specified. Most of our teams practice here as well. The league plays a ten-game schedule both in the fall and in the spring. Games are played on Saturday. The times vary depending on the age bracket and the host club. Why should my child join the club? The objective of our program is to provide an opportunity for the soccer players in our town to improve their individual skills after they have aged beyond the town recreational program, and before they get to the high school level of play. By providing access to soccer during this age period, it is the club's belief that players will continue to develop their individual skills, and realize the benefits of teamwork and fair play.